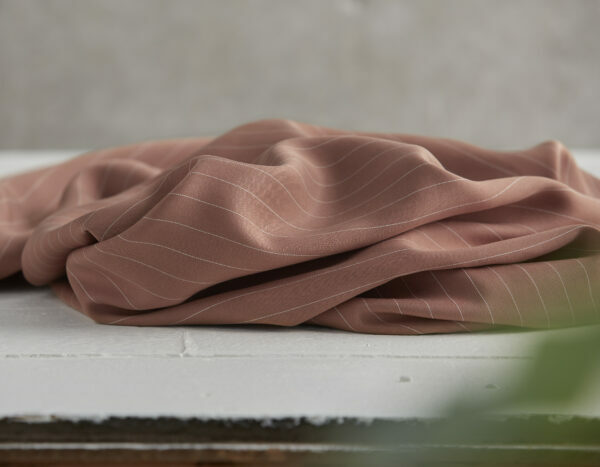 Sister Mintaka is pleased to present this soft Peanut Pinstripe Tencel Twill fabric. 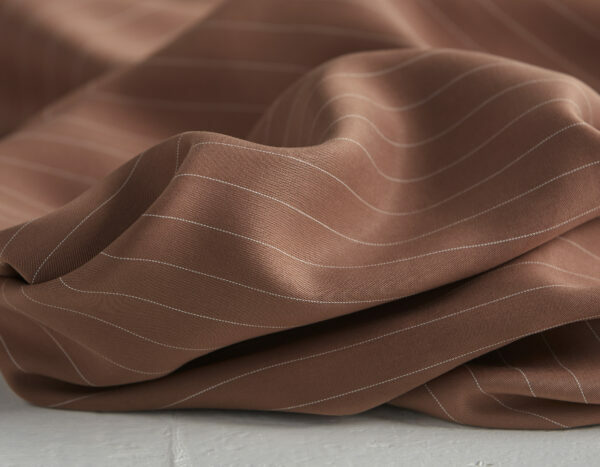 This Tencel Twill is a beautiful pinky-brown colour with a fine cream pinstripe woven through it. The stripes are approximately 14 mm apart. The twill lines are very fine and subtle. This fabric would is lightweight and would be ideal for blouses and dresses.